A showcase of my most recent web development & design projects. Some are brands, some are more web-apps than websites, and some are in between. For code samples or project inquiries, please contact me. Designed and delivered a beautiful website for a new, European-style filled pasta brand. Utilized WordPress, HTML5, jQuery, CSS3, rapid development methodology, implemented performance and search engine optimization, and setup an ordering and eCommerce system with a user dashboard in time for a trade show (read the ecommerce website design case study). Ongoing work involves branding, website development & maintenance, as well as digital consulting that involves crafting and executing a SMART marketing strategy and going to market. 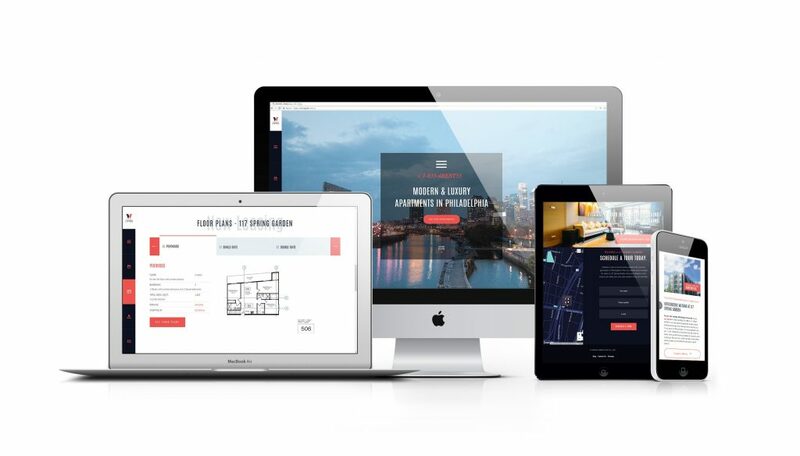 Designed and delivered a beautiful website for a new construction apartment complex. Utilized WordPress, rapid development methodology, and created a SMART marketing plan for the property developer. Delivered the website, as well as brand identity design and several large banners (30', 12' and 5' wide) designed by my long-time friend & creative partner Erkan. Developed a WordPress website which updates daily with reputable content in the Advertising, VR, AR, Cryptocurrency, Web Development, and Science fields. 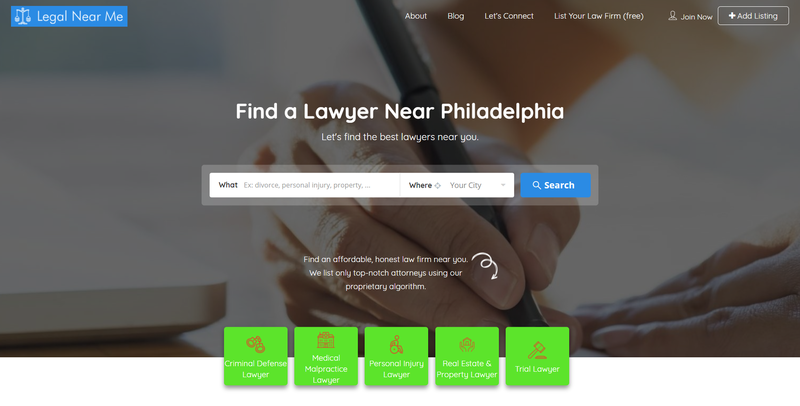 Developed a WordPress website which features the best rated lawyers based on location. I also helped the SofterWare team launch DonorPerfect, correcting errors and implementing improvements (including the ROI Calculator). I implemented search optimization (SEO) on over 100 pages -- leading to the improvement of many web pages -- where I also implemented JSON-LFD, meta descriptions, alt tags, corrected 1000s of issues in Google Search Console, and utilized Yoast & Yoast Video SEO. An essential resource for all nonprofit professionals, from executive directors and board members to fundraising staff and volunteers. This web development & cybersecurity contract involved debugging and correcting issues on the ASPIRAPA.org website, as well as the design & development of a brand new website for Aspira Bilingual Cyber Charter School. Read the nonprofit web design case study for more information. ASPIRA Bilingual Cyber Charter School (ABCCS) is using their new website to boost enrollment, and it involved WordPress, PHP, HTML5, CSS3, and Materialize CSS for rapid development. This product website for a childcare management software product (EZCare) features modern website design principles like responsive & material design and is rich with structured data (for SEO; Google loves it!). Results: quality lead volume has improved drastically after the new (official) website launch in February. I completed website design and developement with WordPress where I migrated over to a new theme, brought over relevant content and posts, setup redirections and provided training support to the client. I also manage an ad campaign for the client, and I worked with Erkan for brand identity & design. A landing page built with the latest web framework - BootStrap 4. I completed the development of this website from a mockup design for an agency. Main technologies utilized: Bootstrap 4 Alpha, CSS3, and HTML5. A fresh look for a reputable, private bank. As a contractor for a branding agency, I completed the development of this website, which very quickly went through User Acceptance Testing, gaining client approval. Main technologies utilized: WordPress, Bootstrap, CSS3, HTML5, PHP, and jQuery. Also, I implemented my video technology, which received awesome feedback: "video – LOVE IT!!!" A J&J sponsored website featuring user registration, and a dashboard to allow for user generated content (UGC) submission. As the lead developer on this project, I worked through the New Year to complete this website and get it launch-ready. It quickly went through UAT, gaining client approval. Technologies used: WordPress, Bootstrap, CSS3, HTML5, PHP, and jQuery. Contract website development work for Levlane Advertising -- a key project: Beck Institute for Cognitive Behavior Therapy. User experience improvements, theme customization, and responsive bug fixes. The results: pixel-perfect online experiences. Technologies used: WordPress, jQuery, PHP, HTML5. WordPress work involved assisting with the management of multiple websites, as well as customized development for a new website. I utilized PHP, HTML, and jQuery extensively. A cloud-based file sharing web application which takes advantage of jQuery, HTML5 local storage, PHP 7, MySQL, & HTTP/2. The first version served several hundred users monthly. The re-launch (v2) is anticipated to reach in the thousands as it's designed be universal, even simpler, and extremely faster (through reduced latency in multiple aspects). A branded video player for YouTube.